With the tragic demise of Whitney Houston over the weekend renewed interest is being sparked in The Bodyguard Musical which the producers are still advertising as opening in London’s West End in Autumn 2012. 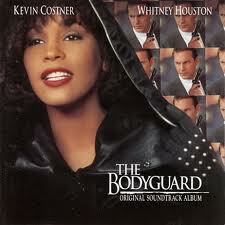 Houston starred in 1992 film The Bodyguard opposite Kevin Costner who played former Secret Service Agent turned bodyguard who is hired to protect the music star Houston from a stalker. There were a couple of reports last year about who was to take the lead. Firstly in October R&B star Heather Headley announced on her Facebook page that she was to play the lead saying: "So, let's talk about London... Yes! I've been offered the role of Rachel in the musical version The Bodyguard. Very Honored! The script has been rewritten a bit and it's very interesting. Needless to say, the music is great (they're using many of the songs of Whitney's catalogue) - very challenging, but great. We'll start on the West End in London and then we'll move to Broadway." Headley has been attached to the production since she took part in a workshop for the musical last summer. The Grammy Award winner starred as Nala in Broadway's original The Lion King and then landed the title role in Aida winning a Tony Award for Best Actress in a Musical. Then last November it was reported by the British Press that X Factor Misha B who was voted off during the semi-finals had been asked to star in The Bodyguard Musical. Digital Spy reported: "Lots of people have been considered from Alexandra Burke to Leona Lewis, but Misha is top of the list. Her not making The X Factor final was a blessing in disguise for those involved with the show." With all the publicity surrounding Whitney Houston (for such sad reasons) at the moment I am sure news will be forthcoming and will post it here as soon as I can.